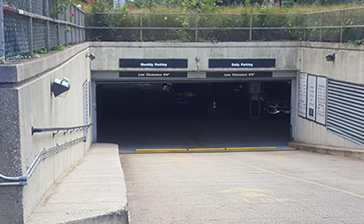 Parking.com has convenient discount parking near New York University (NYU). Click on a location name listed in the map below for monthly/daily parking rates, garage information, and to print a discount coupon for hourly parking. Please note: Customer must present coupon at time of exit to redeem discount. NYU is located in the heart of Manhattan's Greenwich Village, and nearby popular NYC attractions including: Union Square Park, the High Line, and Madison Square Park.